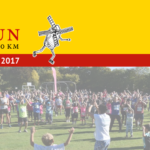 Bourn to Run is a popular multi-terrain event – 3km and 10km – through the stunning Cambridgeshire countryside. Well organised and fun family day out – with a toddler dash, BBQ and refreshments, yoga, face painting, bouncy castle & zorbing. Raise money for your own charity or donate to Bourn Primary, all funds go towards health initiatives for your youngsters.